Antonio Abraham Mendes Seixas (d. 1738) was born in a small village in Portugal to a family of Conversos (or Marranos), Jews who had been forcibly converted to Christianity but continued to practice their ancestral faith in secret. The Seixas family was made up of physicians, lawyers, and merchants, and were among the most successful in Portugal. Despite this, they were still hounded by the Inquisition, and many were imprisoned or put to death. Abraham Mendes Seixas himself barely escaped the Inquisition, and settled in London with his wife and three kids around 1725. There, the family openly returned to Judaism, and Seixas renewed his marriage vows under a proper chupah in a public ceremony. Seixas quickly rebuilt his wealth and became a prominent member of London’s growing Sephardic community. When he passed away in 1738 he left very little for his only son, Isaac Mendes Seixas (b. 1709) apparently believing he was unfit to run the business. Isaac set forth for a new start in America. The son proved a good businessman, and quickly rose to the highest ranks of the merchant class in the New World. He married Rachel Levy, daughter of the great (former Jew of the Week) Moses Levy, and became an important member of Shearith Israel, one of America’s first synagogues. Isaac’s son, Gershom Mendes Seixas (1745-1816) was the hazzan of that synagogue, and although not ordained for the role, served as its rabbi. Some say he may have been the first rabbi born in America, while others point out he was the first rabbi to give sermons in English. He was also the first Jew to sit on the board of an American university (Columbia). His good friend of twenty years, and fellow on Columbia’s board, was Alexander Hamilton, one of the Founding Fathers of the United States. It is quite likely that Gershom helped Hamilton in drafting and promoting some of the famous Federalist Papers. Meanwhile, Gershom’s older brother Moses Mendes Seixas (1744-1809) moved to Newport and became one of its richest businessmen. He co-founded the Bank of Rhode Island, and served as president of Touro Synagogue, America’s first (and also to whom George Washington wrote one of his most well-known letters). 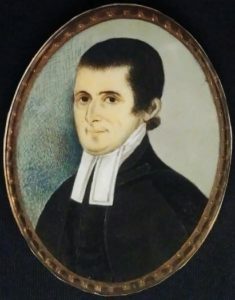 Meanwhile, younger brother Benjamin Mendes Seixas (1748-1817) was one of the founders of the New York Stock Exchange, and youngest brother Abraham Mendes Seixas (1751-1799) was a decorated officer in the Continental Army during the American Revolution. The entire family was known for their tremendous patriotism and philanthropy. Did You Know These People Are Jewish, Too? – George Washington, in his 1790 letter to the Touro Synagogue and the Jewish community of Newport. This entry was posted in Business & Finance, Religious Leaders and tagged Alexander Hamilton, American Jews, American Revolution, Bank of Rhode Island, Chazzan, Columbia University, Continental Army, English Jews, Federalist Papers, George Washington, Mendes Seixas Family, Merchants, New York Stock Exchange, Newport, Portuguese Jews, Rabbi, Sephardic Jews, Touro Family, Touro Synagogue on February 14, 2018 by Jew of the Week. 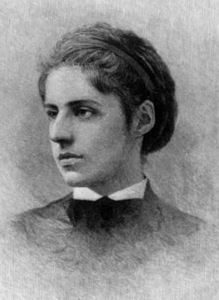 Emma Lazarus (1849-1887) was born in New York City. Her father came from a Jewish family that immigrated from Germany, while her mother was from an illustrious Sephardic-Portuguese family that settled in America before the Revolution. Lazarus studied literature and language, speaking German, French, and Italian. She became a famous poet, novelist, and playwright; one of the first successful Jewish-American authors. Her first book of poetry was published when she was just 17 years old, and she went on to collaborate with such great writers as Ralph Waldo Emerson. Lazarus was also an influential social activist. Her first cause was fighting for tax reform and fairer distribution of land. After hearing of the violent pogroms in Russia, she advocated strongly on behalf of Russian Jews and helped settle Jewish refugees in New York. Lazarus worked for the Hebrew Emigrant Aid Society, training impoverished immigrants and helping them find work. She also co-founded the Hebrew Technical Institute to educate Jewish refugees. Meanwhile, Lazarus argued passionately for the creation of a Jewish state in Israel – thirteen years before Theodor Herzl arrived on the scene! 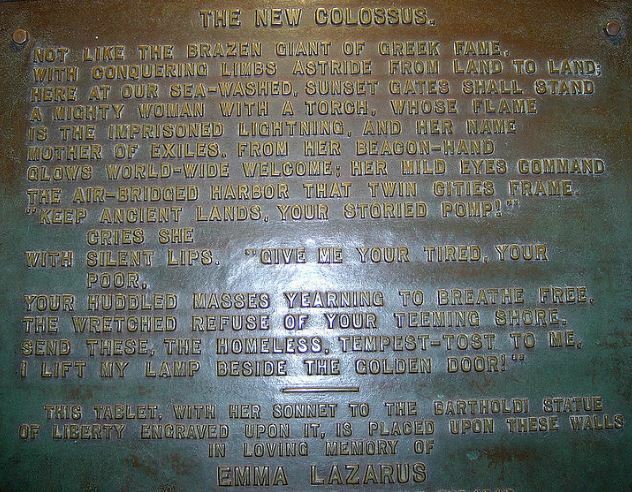 (For this, among other reasons, she was once described as the “fiery prophet of the American Jewish community.”) Lazarus is undoubtedly most famous for her poem “The New Colossus”, which she wrote to raise money for the construction of the Statue of Liberty. The sonnet’s powerful words – familiar to most Americans – have inspired many, and have been quoted by leaders like John F. Kennedy and Barack Obama. Two decades after she first wrote it, the poem was etched onto a bronze plaque at the base of the Statue. It has been said that the poem transformed the Statue into a symbol of immigration and freedom, and defined “the American vision of liberty”. Sadly, Lazarus did not live to see this day. She tragically died at the young age of 38, from lymphoma. She has since been inducted into the National Women’s Hall of Fame. This entry was posted in Writers & Thinkers and tagged American Jews, German Jews, National Women's Hall of Fame, Poets, Portuguese Jews, Sephardic Jews, Statue of Liberty, Zionist on April 25, 2017 by Jew of the Week.